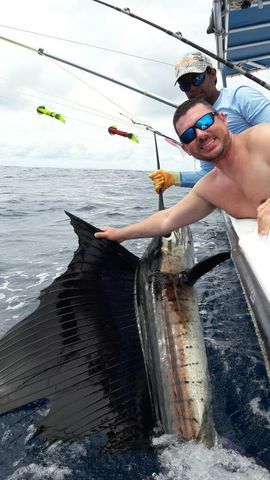 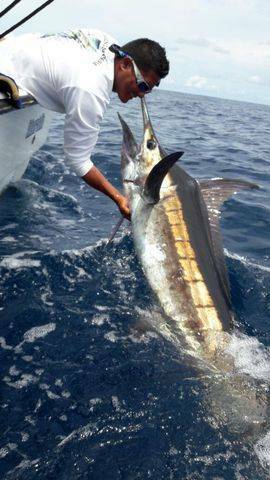 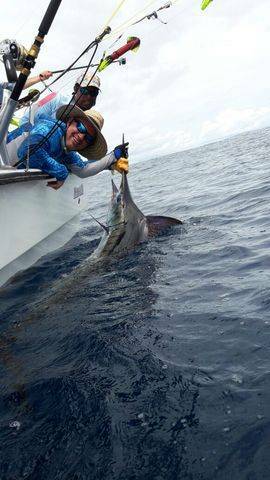 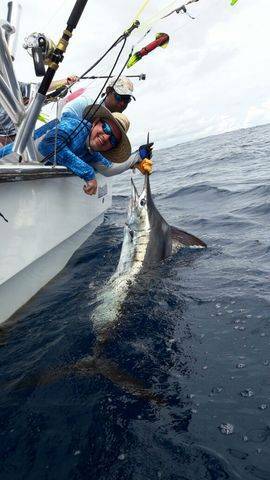 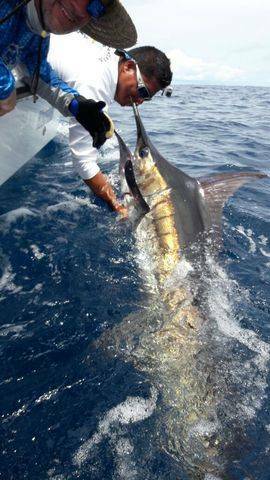 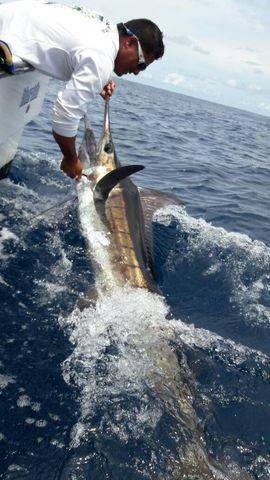 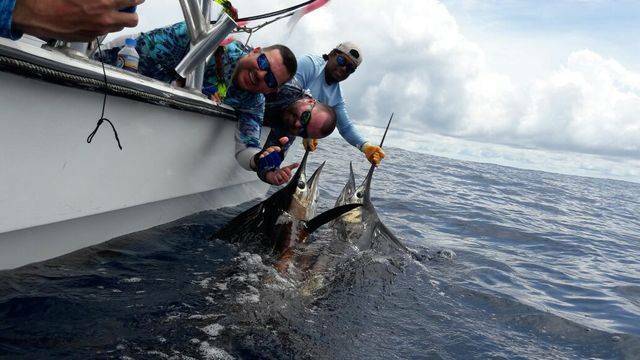 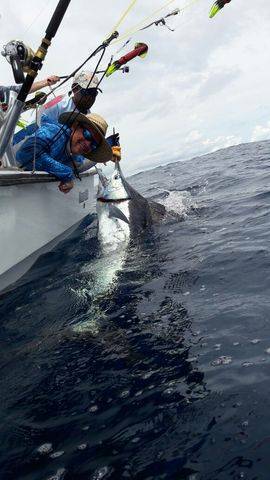 Jeff Broome posted the trip of the year so far with Captain Alex on June 11. 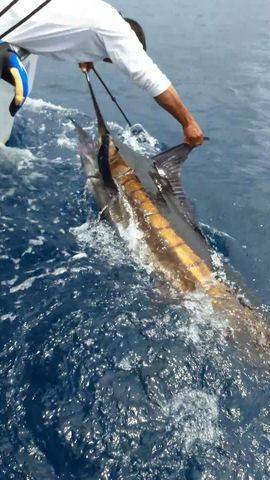 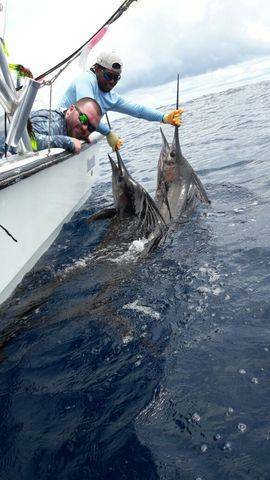 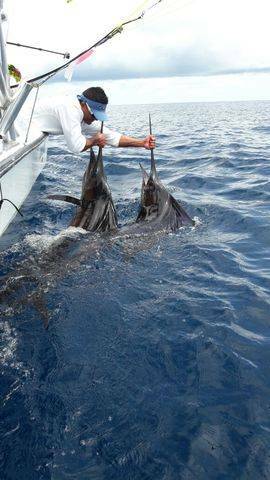 First off was a true Double Sailfish release. 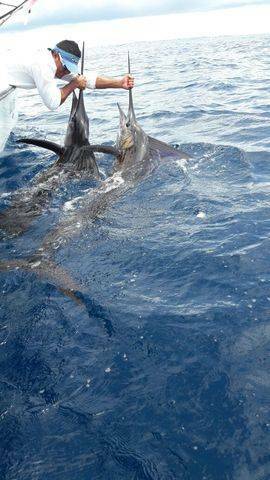 After the safe release of both fish, they added a third Sailfish for good measure. 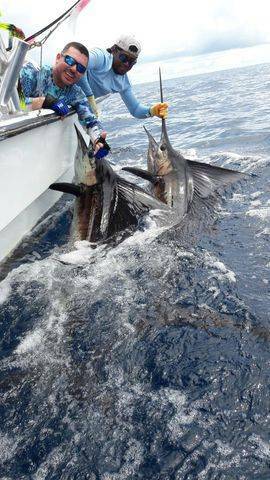 Amazing work by Captain Alex, Mate Wilson, and these Jacksonville anglers. 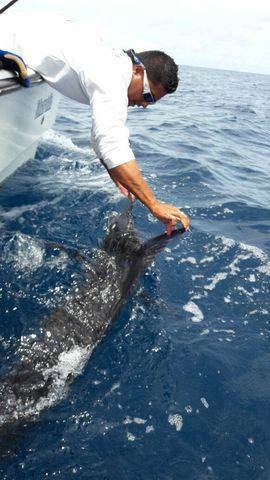 Just wanted to say an enthusiastic THANK YOU for the incredible trip we had thanks to your team. 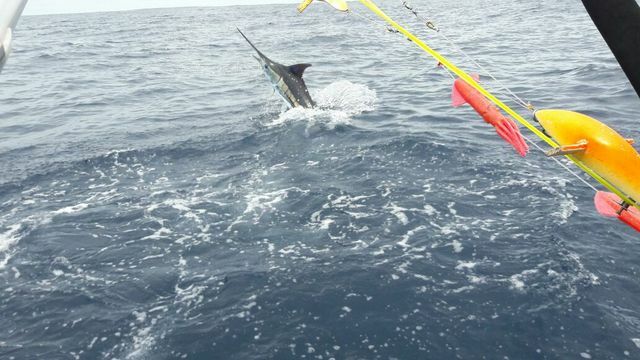 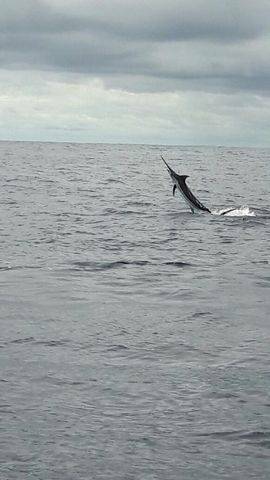 In 3 days (June 9,10,11) we got 3 Marlin (2 blue and a massive black!) 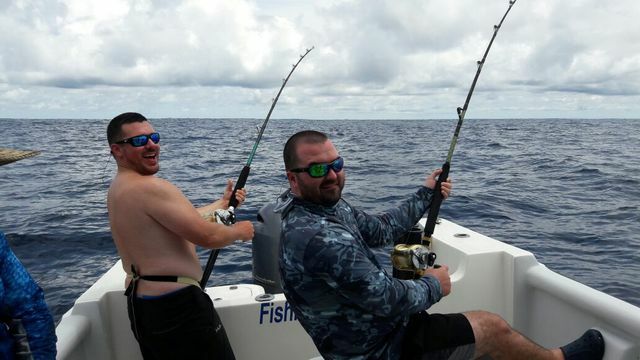 3 sailfish, a huge Dorado, and a good deal more Tuna and Mahi.